Following a quick showing in his Cincinnati opener, Andy Murray will face a more menacing John Isner in his third round match. Although the Scot is yet to lose a match to his opponent from across the pond, he has been in nothing but close battles with Isner and this has the potential to be exactly the same. 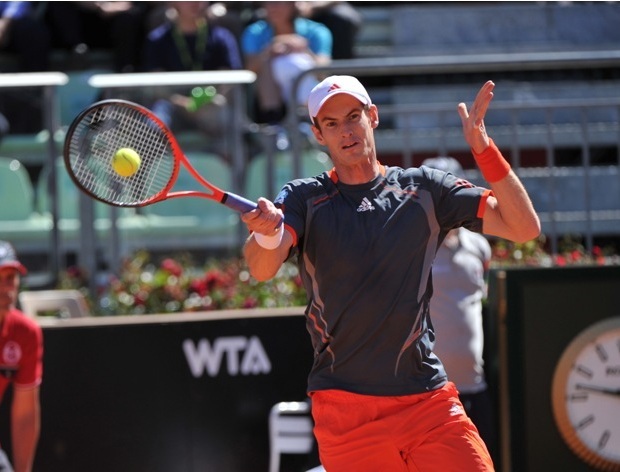 Check out the Murray vs Isner Head to Head matches. The British No. 1 cruised into the third round in Cincinnati following a 6-3, 6-3 victory over Portugal’s Joao Sousa. It was a straightforward match where Murray served well, converted on three break point opportunities and saved both of the ones he faced on his own serve. What was clear on court was that Murray was playing comfortably and in command of each point in the match. American No. 1 John Isner has had a less than ideal run in the US Open Series so far this year, as he suffered back-to-back opening round losses in both Washington and Toronto after winning the title in Atlanta. He managed to get back to his winning ways in Cincinnati when he began his week with a straight sets victory over Kevin Anderson before beating Australia’s Marinko Matosevic 6-3, 7-6(1). This marks the third time these two competitors will meet on the ATP Word Tour, with Murray leading the head-to-head series 2-0. Their last meeting took place at the 2011 US Open quarter-final, which the Briton won in four sets. That was the only time that Isner has managed to take a set off Murray. While the Scot is more than capable of closing out the match in straight sets, he may be forced to play a decider if runs into trouble on the crucial points – as has been his trademark so often this year.